Intel have launched a new processor and motherboard platform, so you can bet every system builder across the globe is prepping new gaming PCs with Intel’s Kaby Lake at their hearts. With Kaby Lake chips now out in the wild, what’s changed in our pick of the best CPUs for gaming? DinoPC have provided us with our first taste of a full gaming rig built with Intel’s new processor platform in place. Instead of the super-expensive machines that normally get bandied around launch date, however, DinoPC have actually created a far more sensible sub-£1,000 gaming rig. As ever though, it’s all about balancing up the mix of components. So, how have DinoPC done with new toys to play with? Click on the quick links below to jump to the relevant categories. 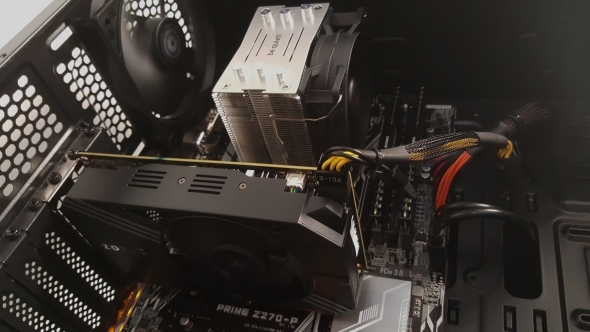 As this is the first Kaby Lake-powered machine we’ve tested it makes sense to start there. The DinoPC Primal GT4 Stealth now comes sporting the Intel Core i5 7400 processor sat in an Asus Prime Z270-P motherboard. The Core i5 is a straight quad-core processor without HyperThreading enabled, and sporting a base clockspeed of 3GHz and a nominal Turbo speed of 3.5GHz. The Kaby Lake i5 7400’s peak Turbo seems to be limited to single core operation though – in practice I only saw the chip knocking around its x33 multiplier, not the full x35. But actually it was a little higher than that because DinoPC have worked a little overclocking magic into their £899 non K-series build. They can’t mess with the multiplier so they’ve had to make do with boosting the CPU’s base bus speed. Normally that’s a solid 100MHz, but DinoPC have pushed their chip’s BCLK up to 102.2MHz, which meant I was actually seeing all-core clockspeeds of 3.37GHz under load. Despite going for build that isn’t super high-end DinoPC have still gone for the top Kaby Lake chipset, the Z270. The Prime Z270-P though is towards the bottom end of Asus’ motherboard range, a $140 (£120) board at retail. That said it still has all the goodness of the Z270 platform even if it is missing some of the extra niceties. The back panel is pretty sparse, with just six USB ports (2x USB 2.0 and 4x USB 3.0), but there are additional headers inside for your chassis ports. It’s also only CrossFireX certified so there’ll be no Nvidia SLI business going on here. It does take advantage of the extra PCIe lanes available to the top Kaby Lake motherboard chipset by dropping a pair of M.2 SSD slots onto the board. Want to RAID up for some frighteningly quick storage? Be Dino’s guest. With a sub-£1,000 PC, however, you’re not going to be getting PCIe-based SSDs included in your build. DinoPC have though provided a 240GB SATA-based ADATA SSD, but that is it for storage. To keep costs down there’s no extra data space in the machine, so you will very quickly need to look at boosting that somewhat miserly capacity. On the graphics side there is a miniature Zotac GTX 1060 3GB card in there looking after the pixel-pushing duties. For 1080p gaming alone it’s not a bad shout, especially when you’re looking to keep things under a grand at the checkout. DinoPC have made sure your PC doesn’t impose itself too much upon your gaming session by clothing it in an Aerocool Dead Silence chassis. The thick, padded case dampens sound down beautifully and ensures the machine is impressively quiet. The Kaby Lake Core i5 7400 is a very capable Kaby Lake chip and makes absolute sense for a gaming machine that’s trying to maintain a reasonable price point. Of course you’re going to get better all round performance from an eight-threaded i7, but when it comes to gaming not that much better performance. 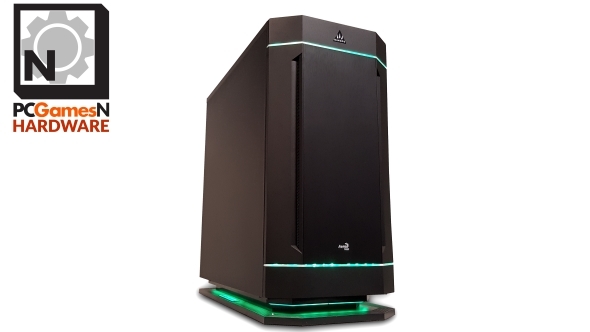 Compared with the Alienware Aurora we recently reviewed we’re looking at a machine with a standard Core i7 6700 and a GTX 1070 for another £500 on top of the price of the Primal GT4. The performance is obviously superior, especially at the higher resolutions, but it is quite a premium to ask in return. The 3GB version of the GTX 1060 is the component which has much greater call on the gaming frame rates of the Primal GT4 Stealth than the CPU. 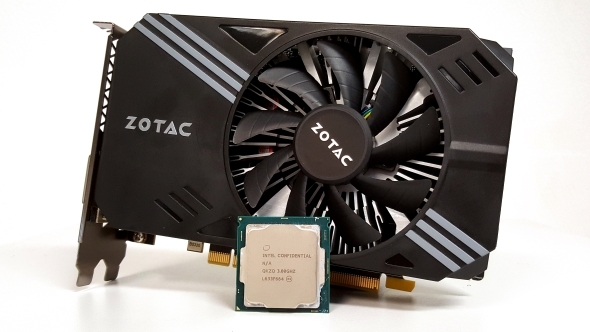 It’s not just the video memory which is cut compared with the standard GTX 1060, the GP106 GPU has also lost 128 CUDA cores and a handful of texture units too. That all means the Primal is pretty much only suited to high-spec 1080p gaming if you want fluid frame rates. The 3GB GTX 1060 does pretty well at 1440p, it has to be said, but you are going to have to sacrifice some of the graphical bells and whistling things to be able to get anywhere near the holy grail of 60fps at that higher res. In GTA V the Primal is only just under 80fps and easily surpasses 60fps in the DX12 version of Hitman, both at pretty much the top 1080p settings. That drops down to 49fps and 46fps respectively at 1440p, which although isn’t bad isn’t quite what we’re aiming for these days. More punishing games, like the latest Deus Ex though really do give the low capacity GTX 1060 a bit of a thrashing. As the first of its Kaby Lake kind the updated Primal GT4 Stealth is an impressive little 1080p gaming rig. DinoPC have balanced the budget and the components smartly with this latest build. The Kaby Lake i5 is a capable quad-core processor, and the 3GB GTX 1060 is a decent 1080p GPU. I’d maybe suggest looking at the next GPU up in the customisation menu – the 8GB RX 480 is only another £57.50 on top and the 6GB GTX 1060 another £64. Either would be a fantastic upgrade for the money. 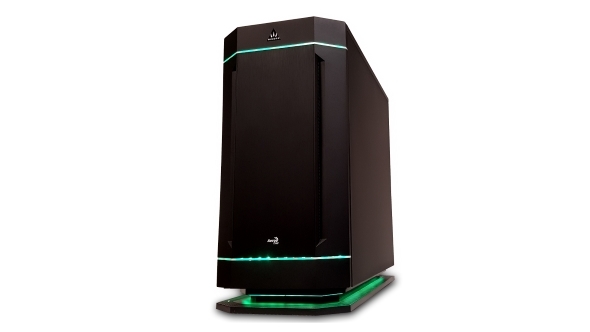 It also makes a great base for you to upgrade down the line, giving your gaming PC room to grown. That is absolutely vital for any full build you buy – you always want to know you’re not going to need to do another full build for a good long while. The Z270 board will accomodate any Skylake or Kaby Lake CPU and you can bet there’ll be some Ebay bargains to be had on some Skylake K-series soon. If you don’t have a spare hard drive cluttering up your home I’d also recommend adding a data drive to the specs list too. That 240GB SSD runs at a decent speed, but is way to lightweight to cope with the data demands of a modern machine. I’m also a big fan of the simple Aerocool chassis. It’s solid, robust and, above all, keeps the volume down to an absolute minimum. 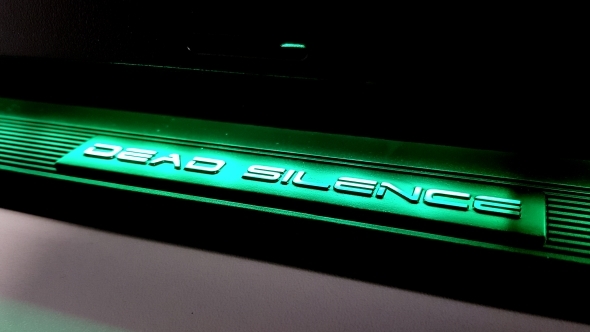 Dead silent it is not, but it ain’t far off even under serious gaming load. The DinoPC Primal GT4 Stealth might not be a rig that’s going to set your heart ablaze with Ultra HD desire, but it’s a very capable base machine and one that will have you gaming at the highest 1080p settings without breaking the bank or your eardrums.